if you want to read Kinde .azw .mobi ebook in Nook e-reader or other device, you must convert it to epub/pdf/txt format that supported by other e-reader, this is step to step guide to convert Kindle DRM ebook to PDF ePub Html word Text format. 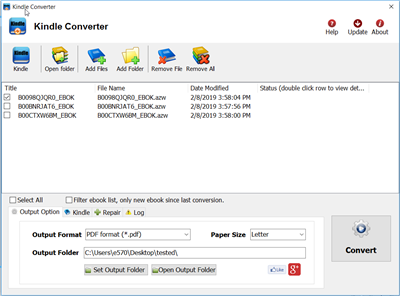 Kindle Converter is tools to convert Kindle ebook to EPUB/PDF/TXT/RTF format with 1-click. it support Kindle DRM ebook downloaded in Kindle for PC. 2). Download ebook in Kindle for Pc. 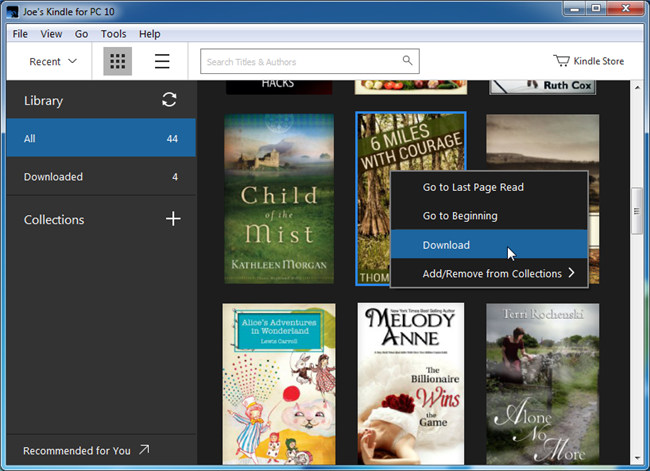 Run Kindle for PC, right-click title to download ebook in Library list. 3). 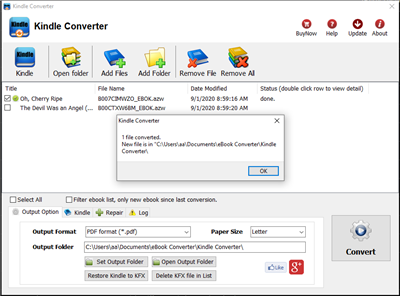 Run Kindle Converter, click Kindle button to add all azw files into file list in converter. You also can drag azw file from windows explorer to converter, azw file saved in “My Kindle content” folder. For Windows, files is saved in “My Document\My kindle content” folder. For Mac, it is “~/Library/Application Support/Kindle” folder. 4). Select output format in Output Section button, you can select pdf,epub,rtf, htmlz,text format in drop list, change output folder if you want. 5) Click Convert button to start job, wait until all job done, if everything goes well, new ebook files will be created in output folder, click Open Output folder to find them . 6) Sending your new e-book file to your e-reader . How to deregister in Kindle for Pc or Mac ?